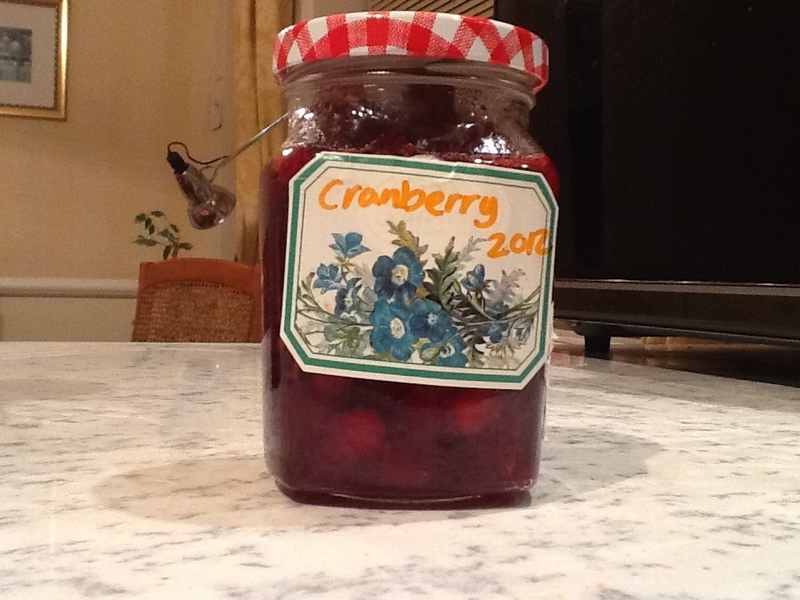 Made some quick jam with the last of the cranberries. Simples! Just noticed that the label is the wrong vintage. Should be 2013. Probably not the last time I make that mistake. 02 Jan	This entry was published on January 2, 2013 at 6:26 pm. It’s filed under food, Uncategorized and tagged Food, preserves. Bookmark the permalink. Follow any comments here with the RSS feed for this post.